The Avión story begins in the small town of Jesus Maria, Mexico—a town and culture the Lopez family has cherished for generations. Here, single origin, rare blue agave is grown at the highest elevations taking 7-10 years to reach maturity. Together in collaboration, Ken Austin and the Lopez family spent years blending old-school tequila making techniques with a philosophy of never cutting corners. Every step of the process works to preserve the natural, rich, roasted flavors of the Avión Agave. 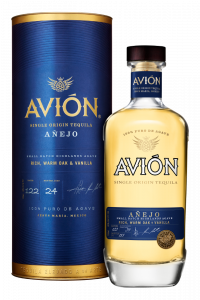 This is Avión, which bartenders, consumers and experts describe as, quite simply, delicious. 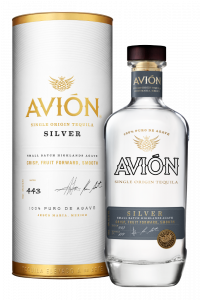 Avión was crowned “World’s Best Tasting Tequila” and “World’s Best Unaged White Spirit” at the San Francisco World Spirits Competition (the most prestigious competition for the spirits industry). Ranking #1 against all tequilas, vodkas, gins and white rums. Over 1,400 spirit brands entered the competition.